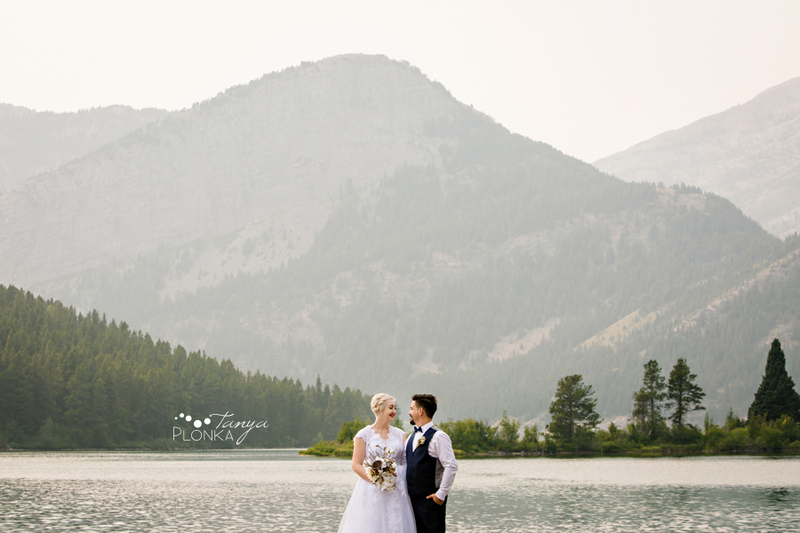 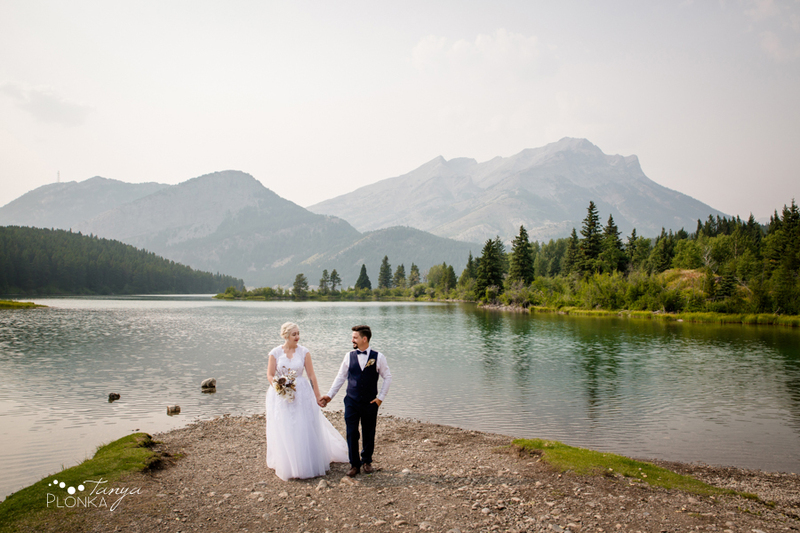 Next we took the couple over to Crowsnest Lake where they could have a little more romantic alone time. 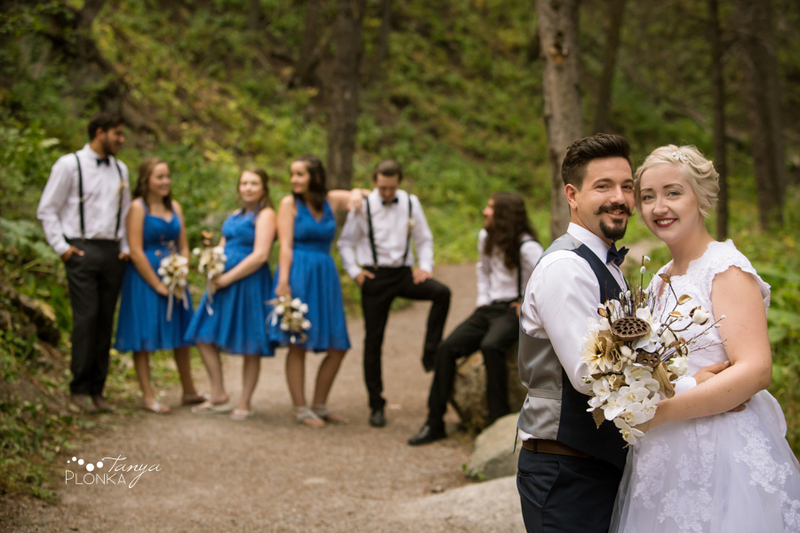 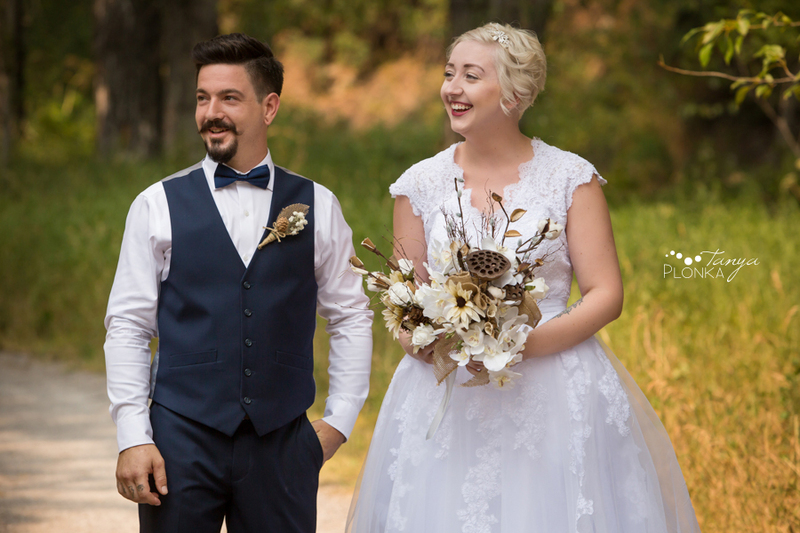 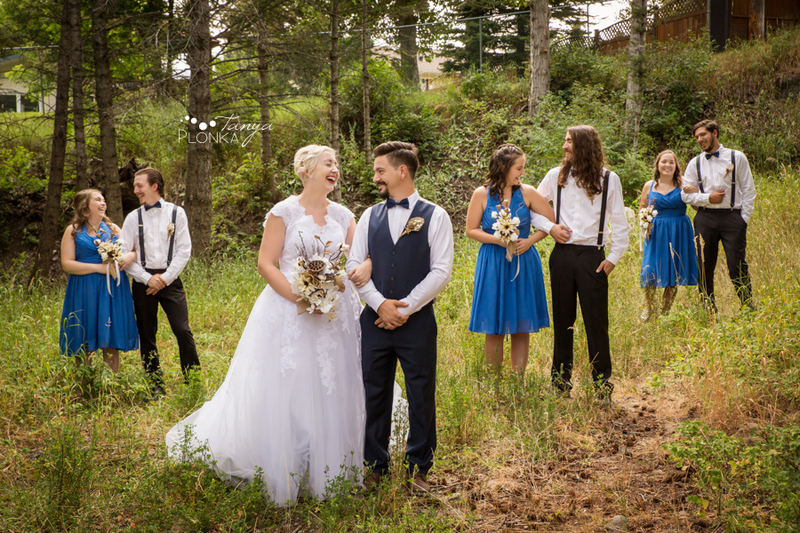 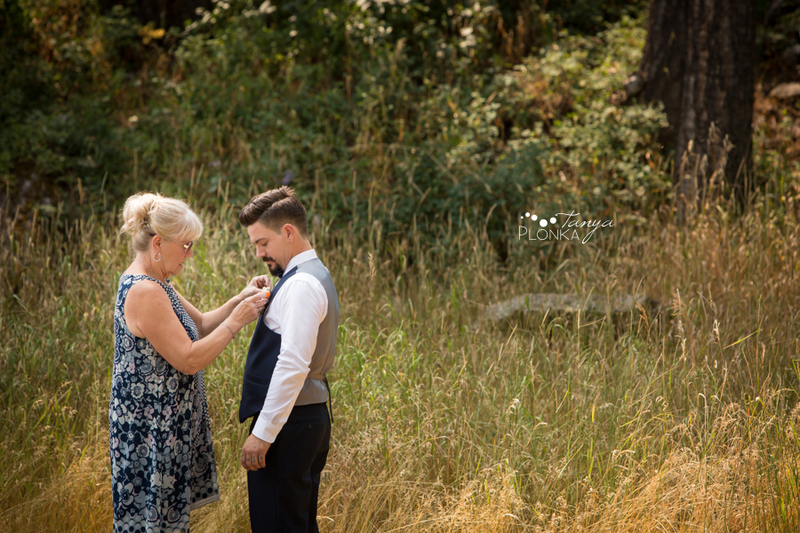 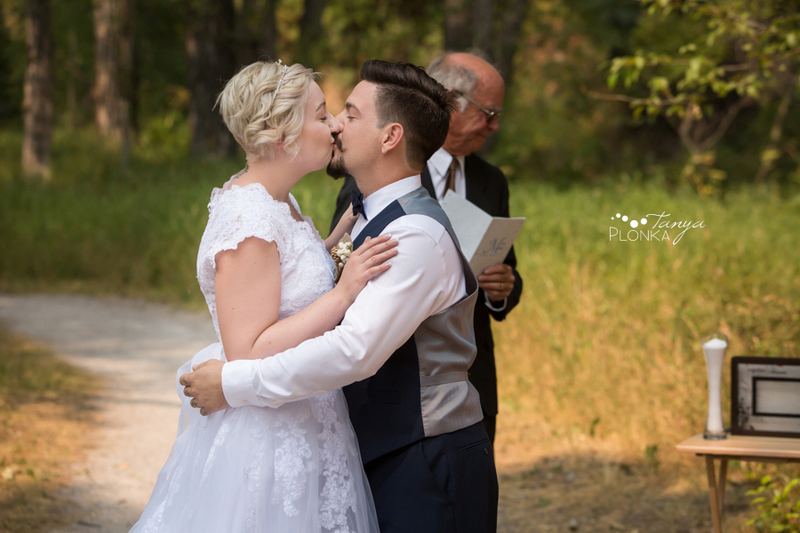 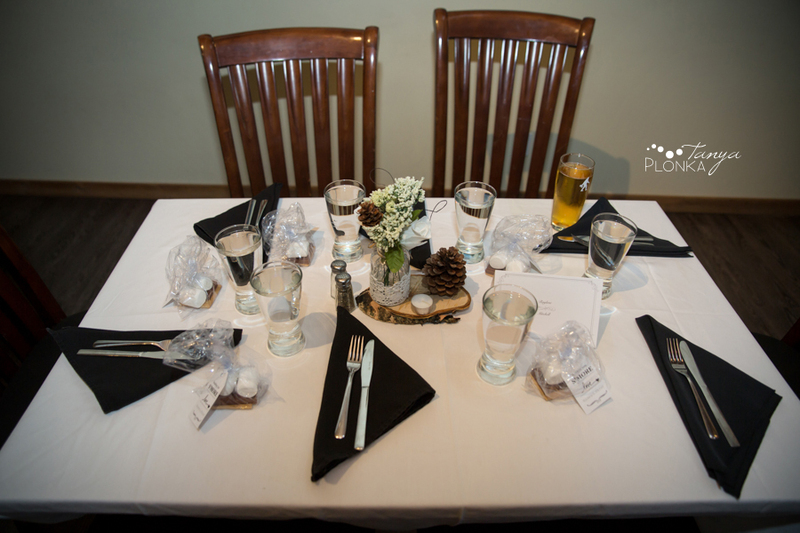 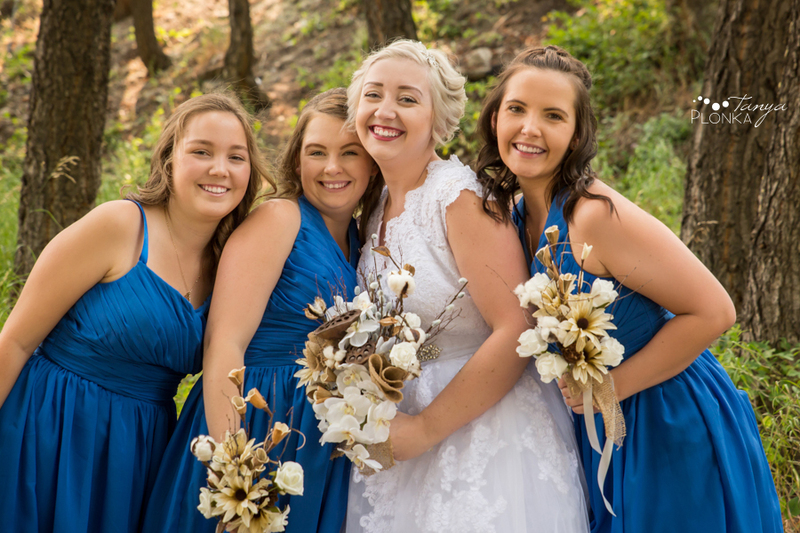 To finish off their day, they met back up with their friends and family for the reception at the Bamboo Bistro in Blairmore. 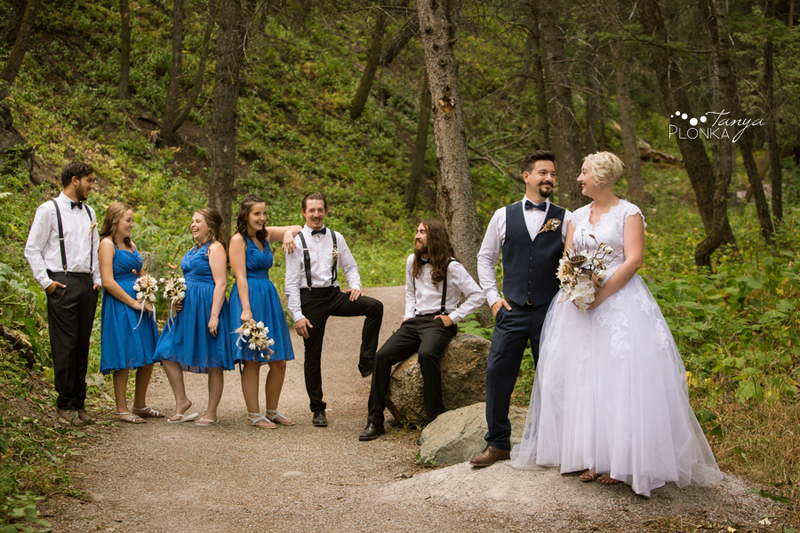 A few of their guests brought dogs. 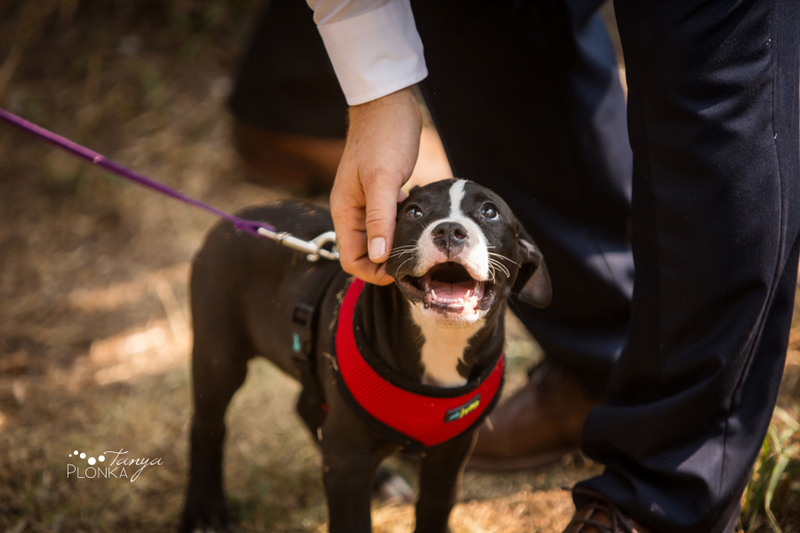 This puppy loved the attention! 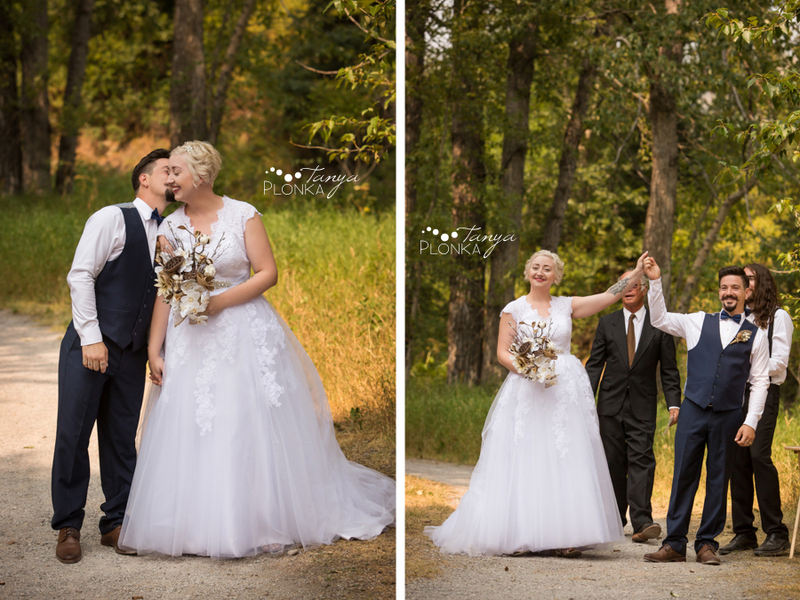 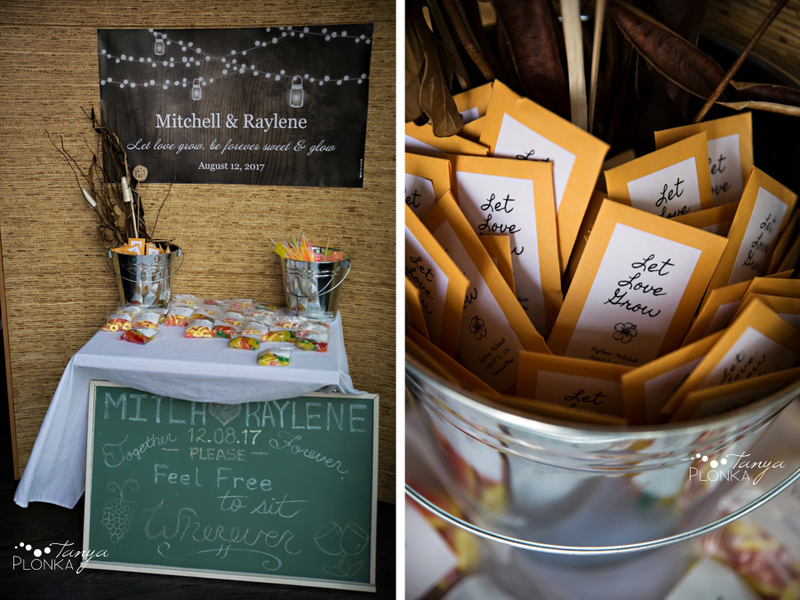 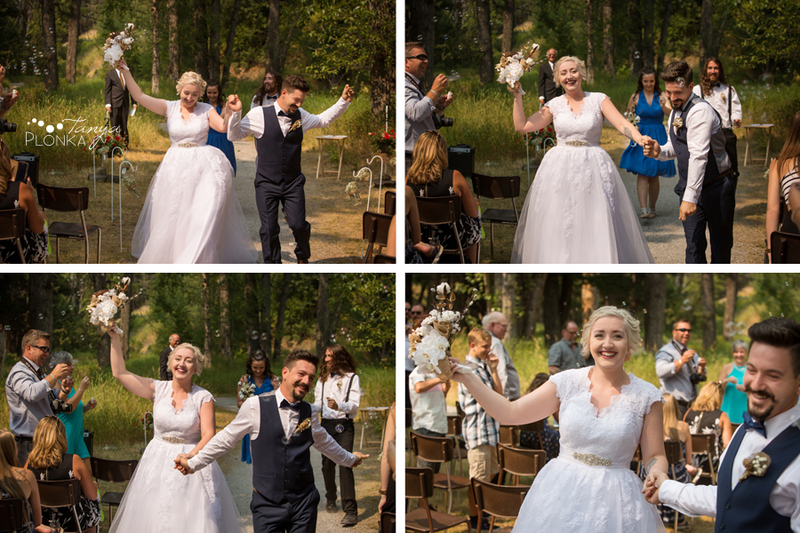 Raylene and Mitchell danced on their way back down the aisle! 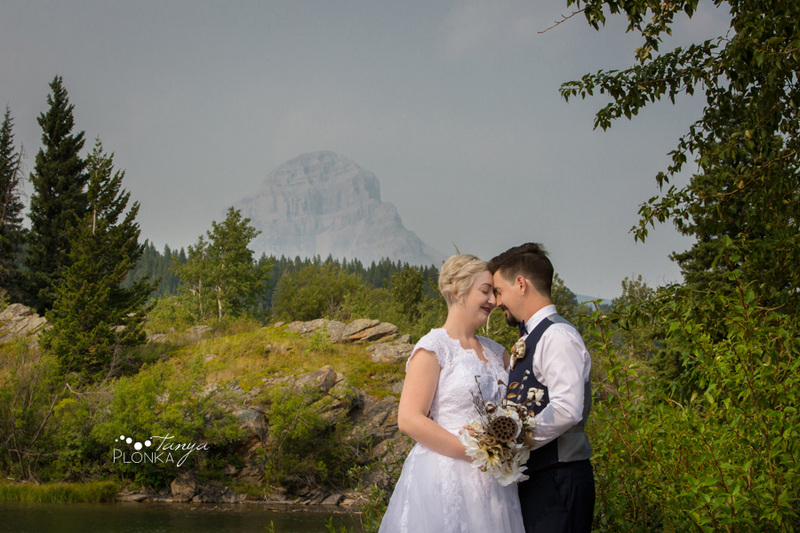 Crowsnest Mountain could still be made out a little bit in the smoke! 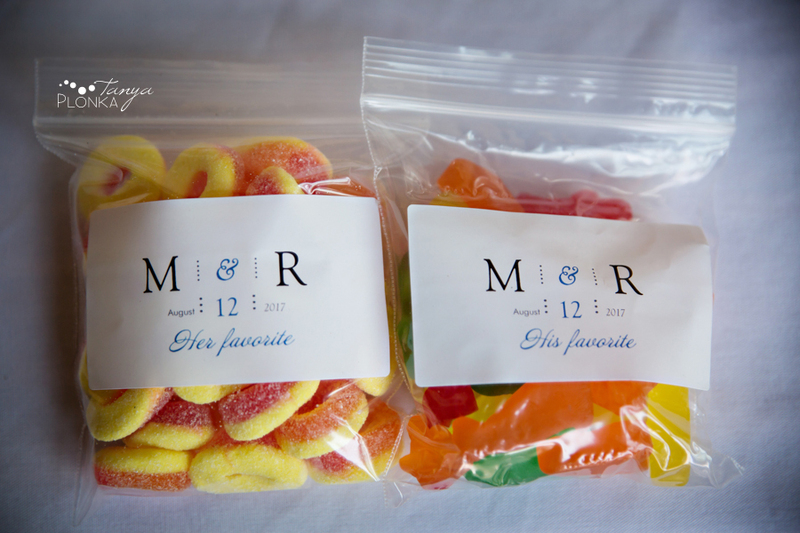 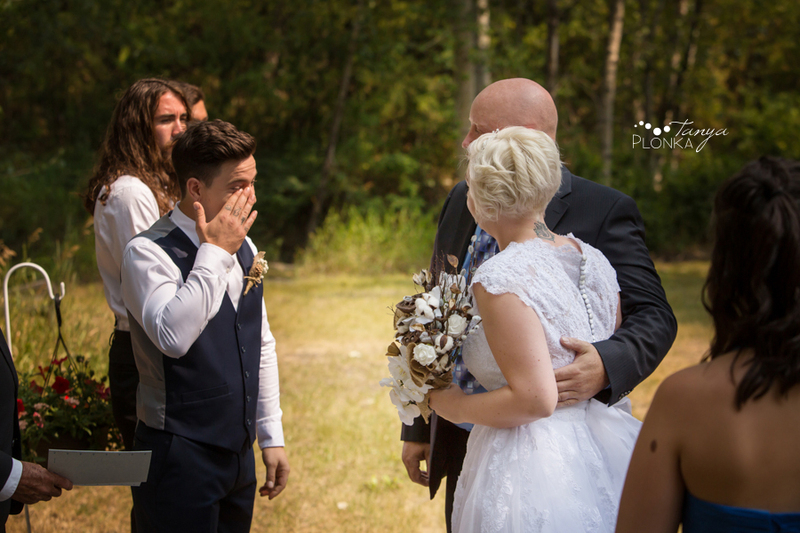 Are you getting married too? 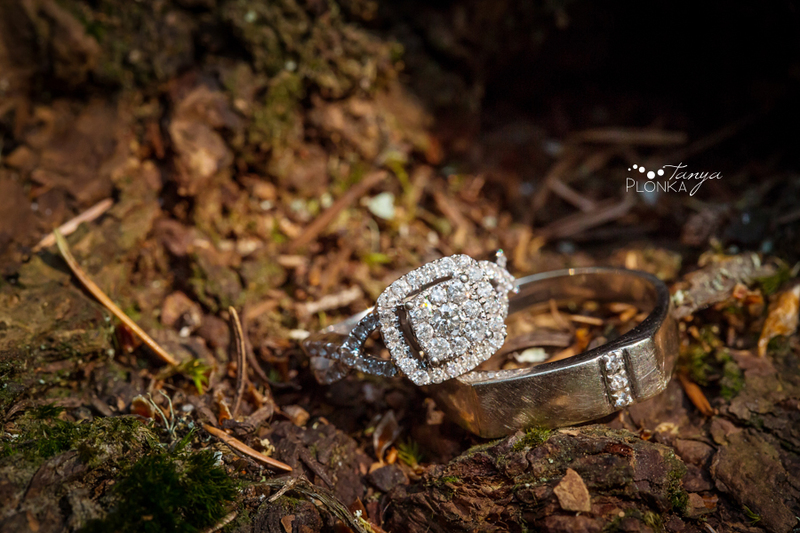 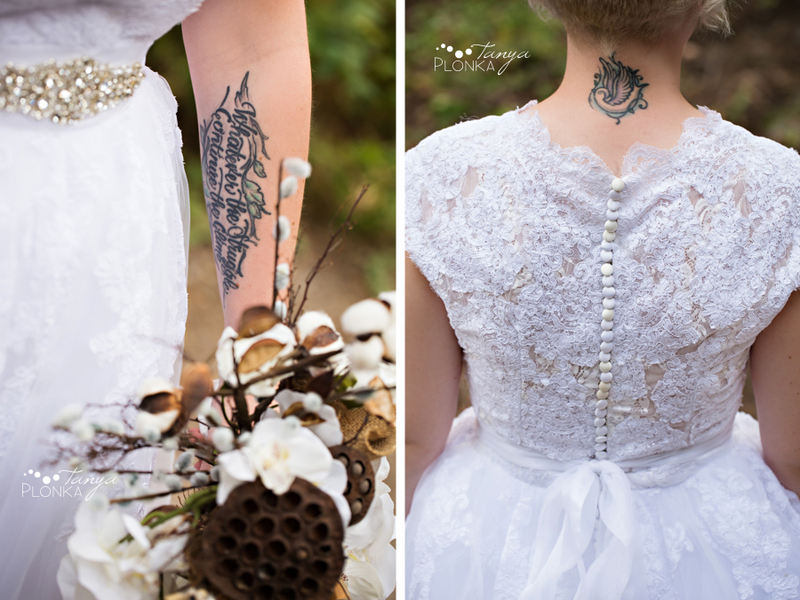 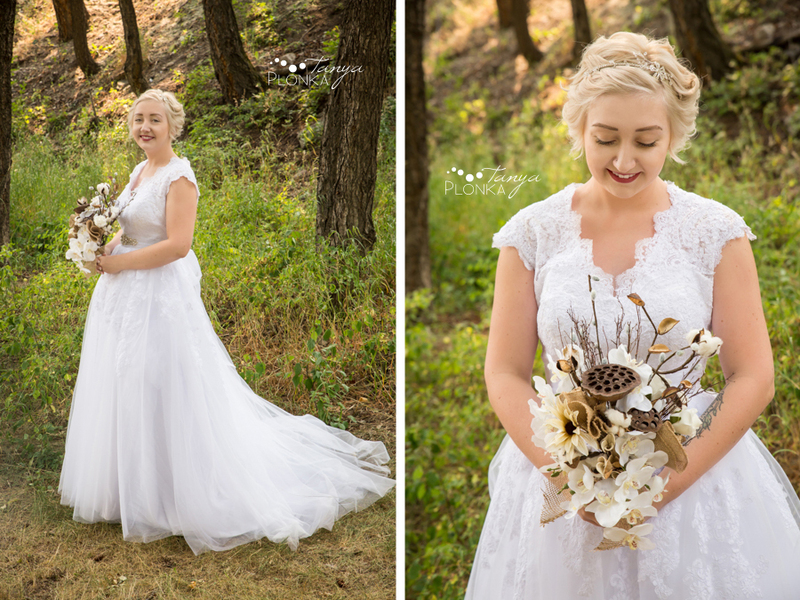 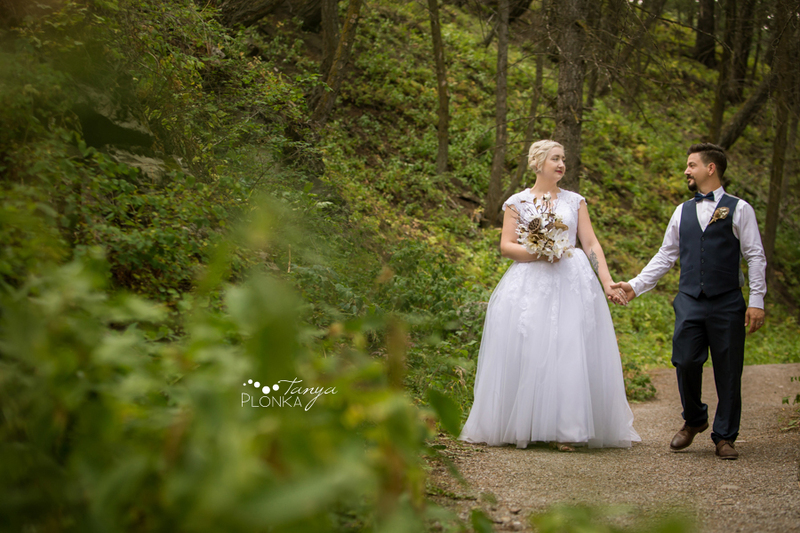 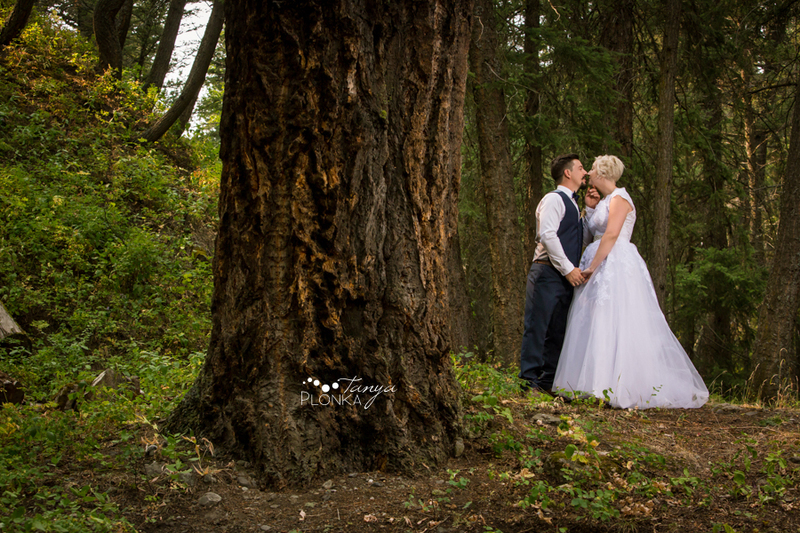 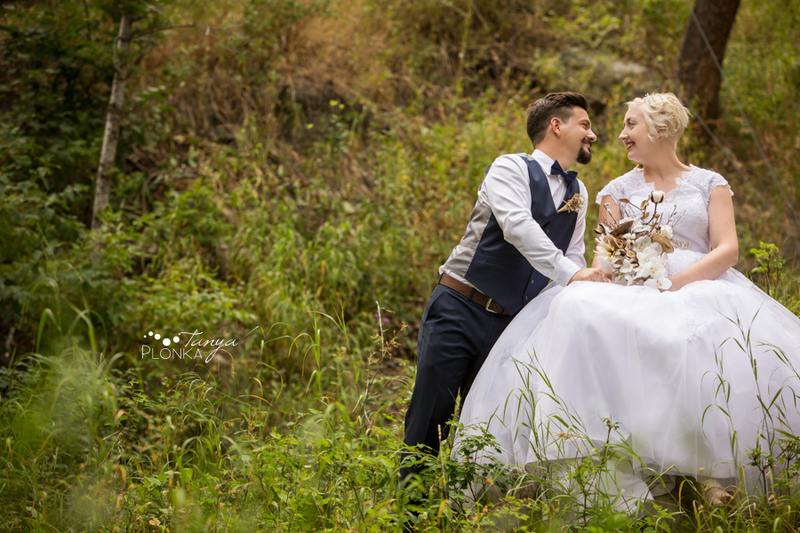 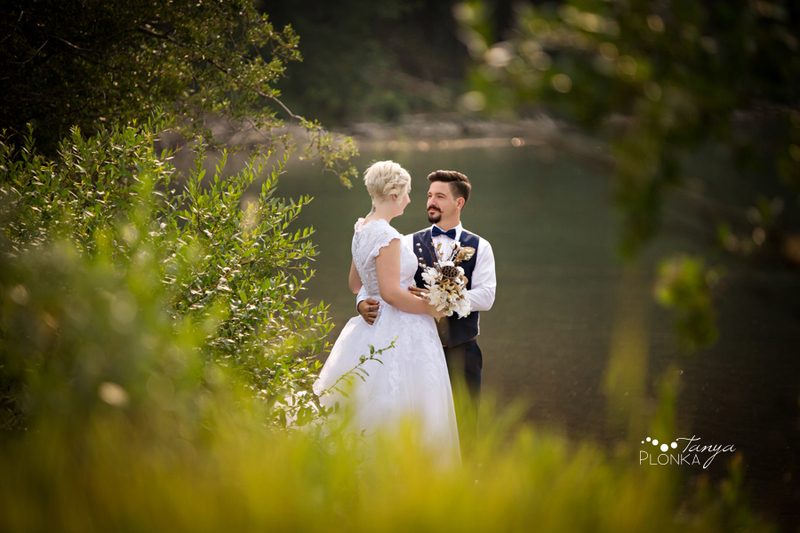 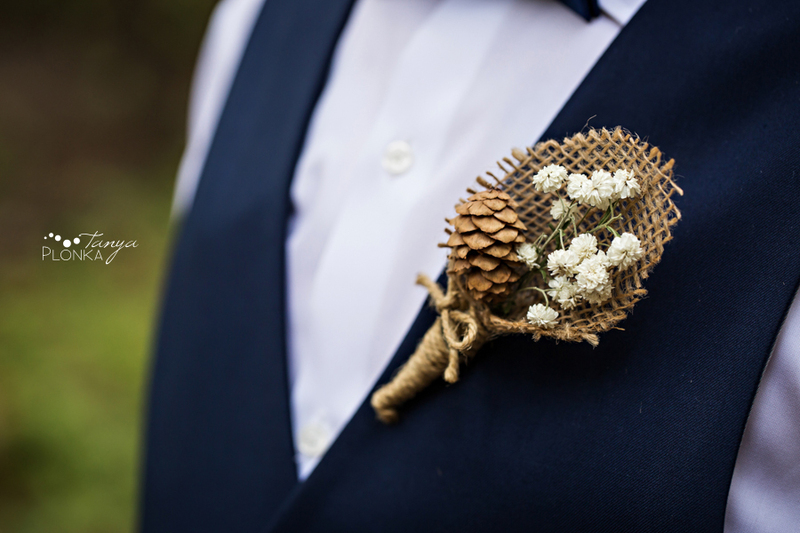 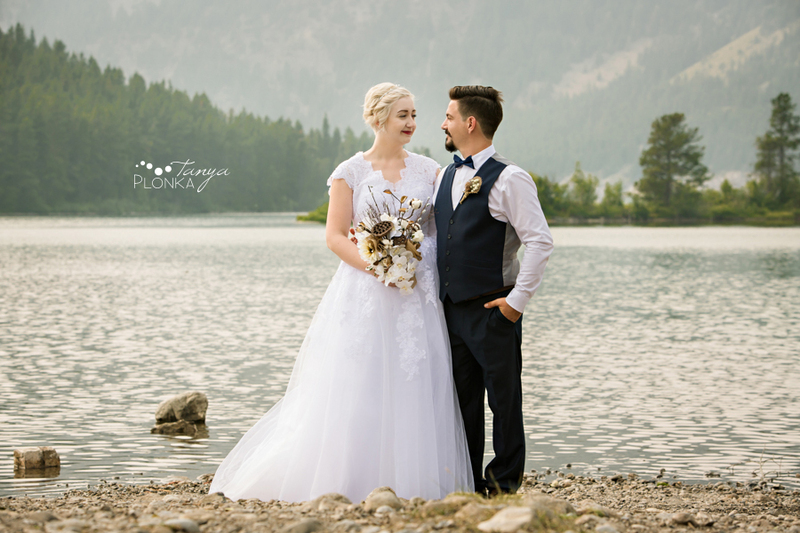 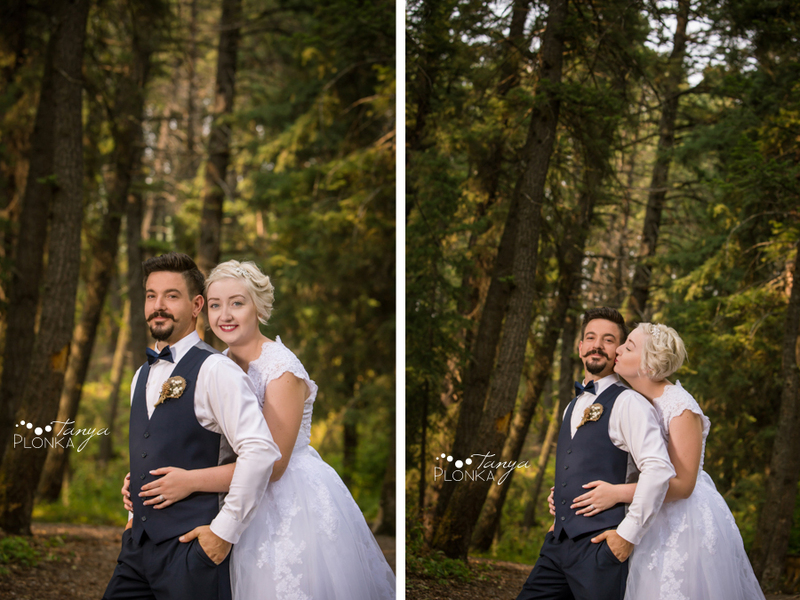 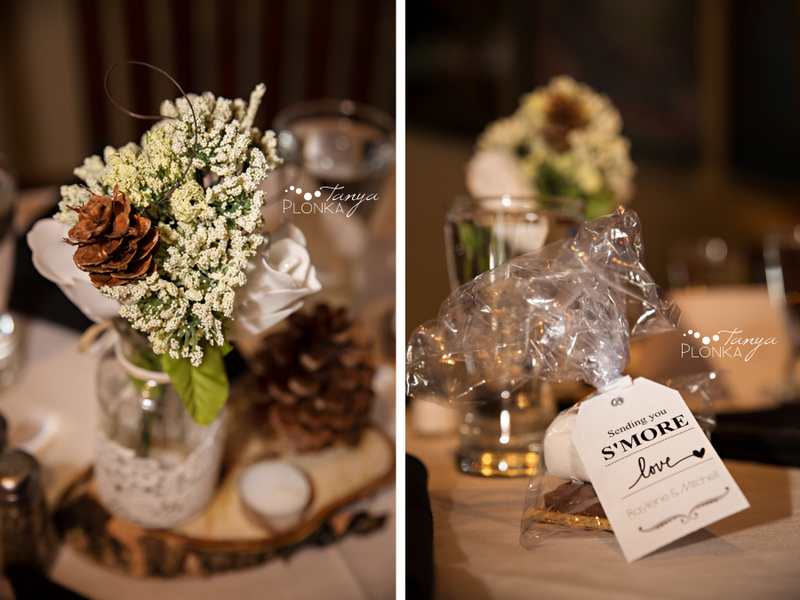 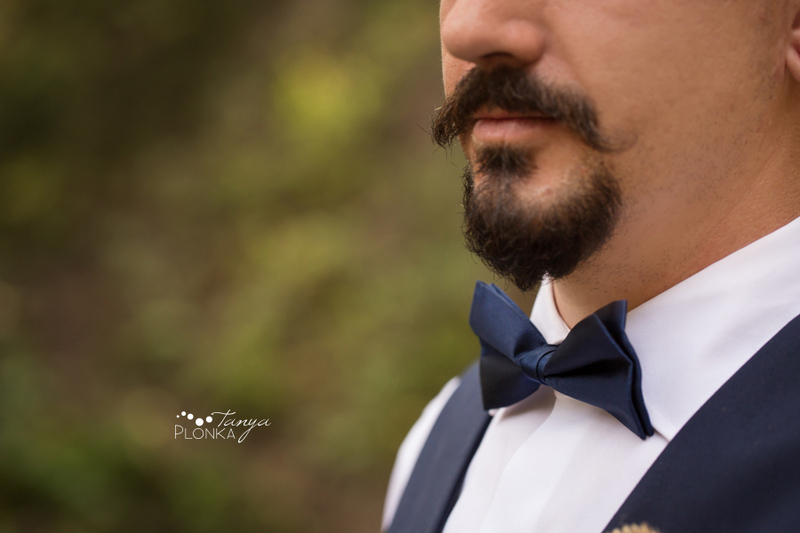 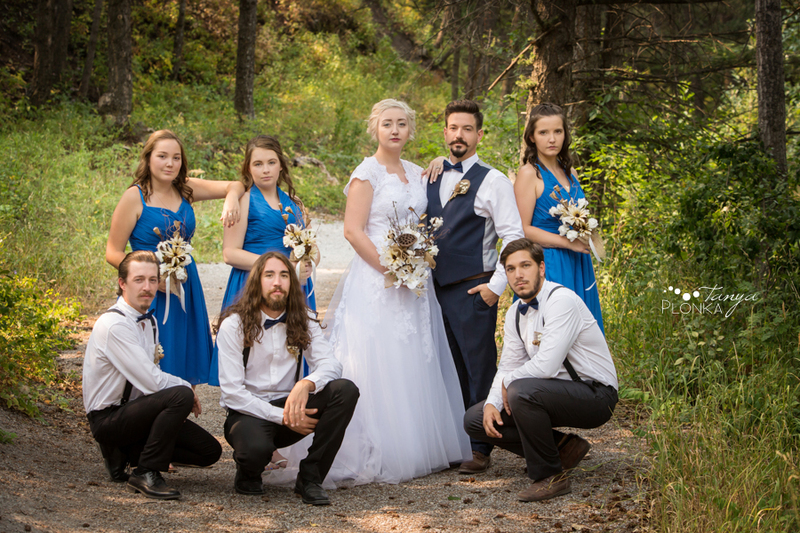 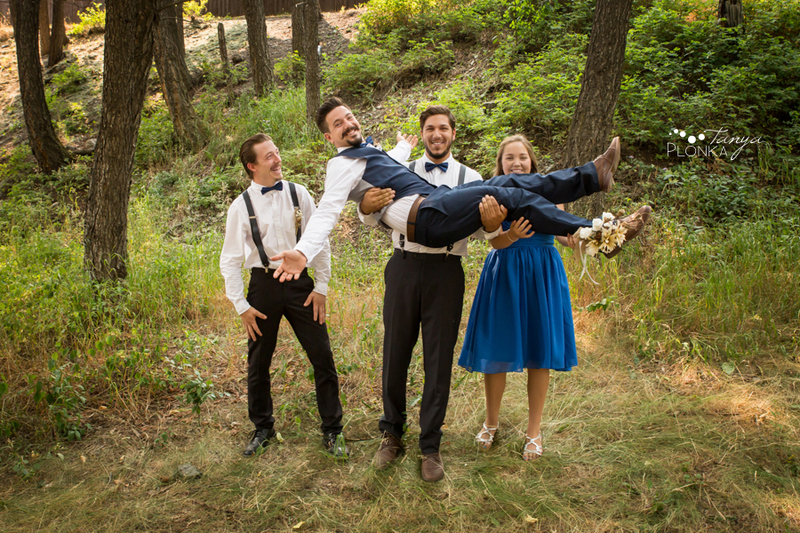 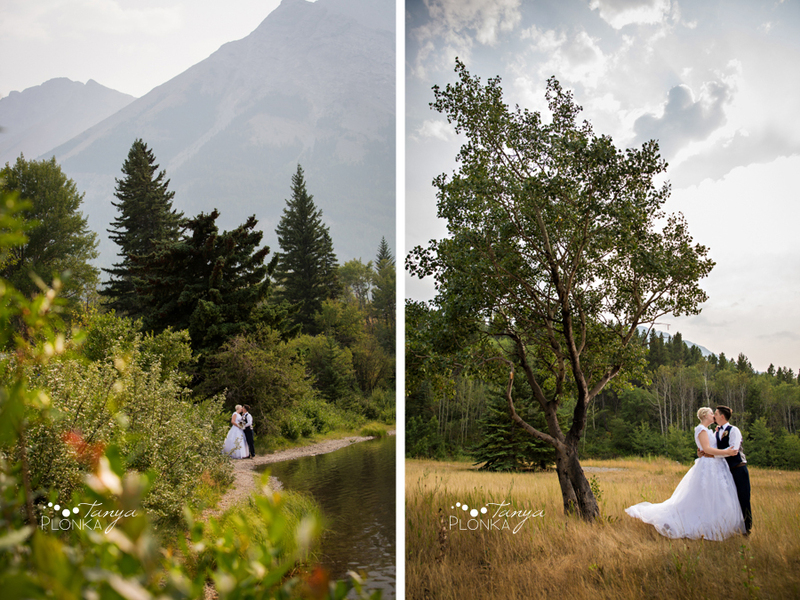 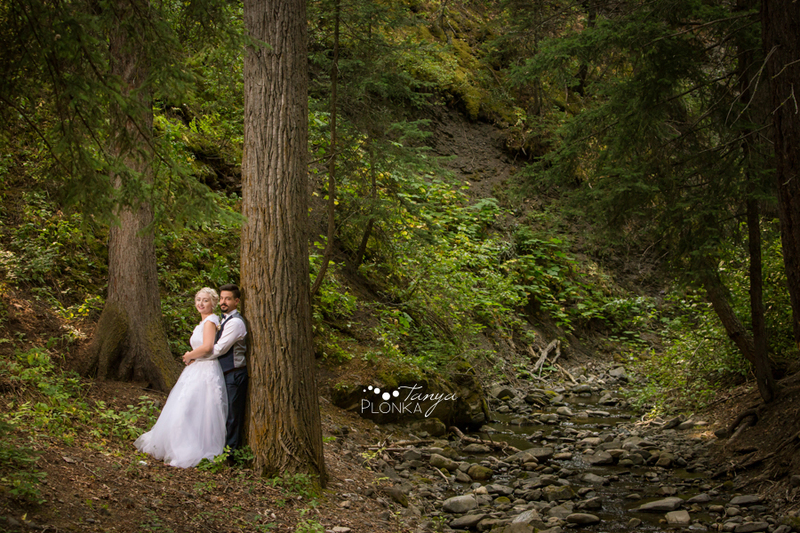 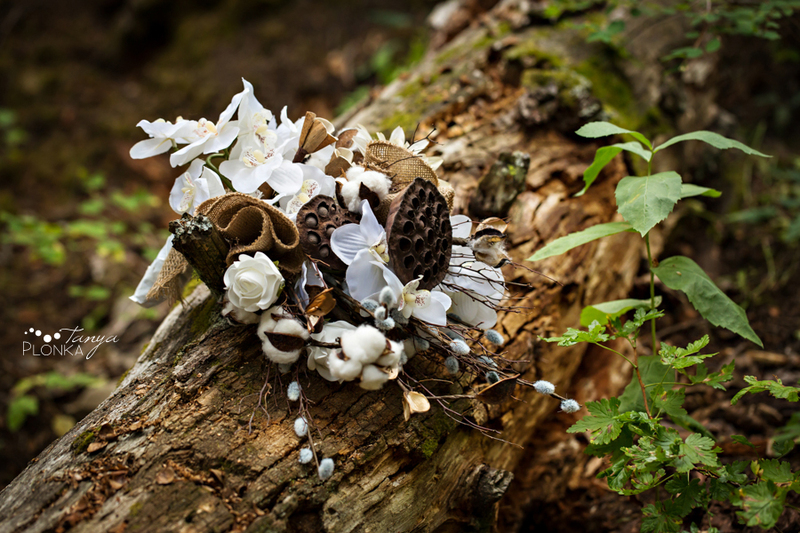 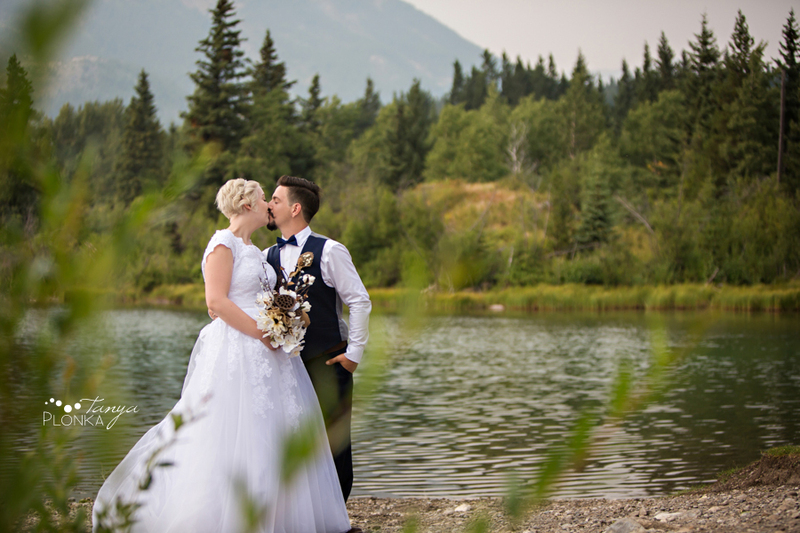 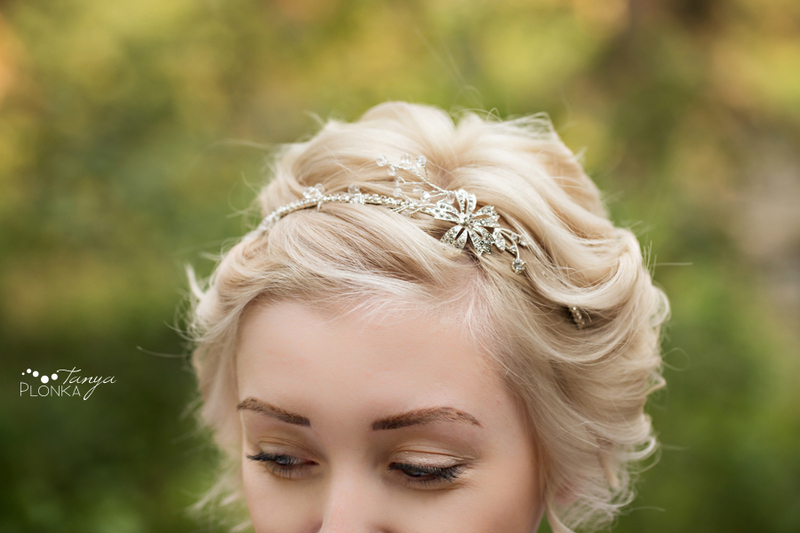 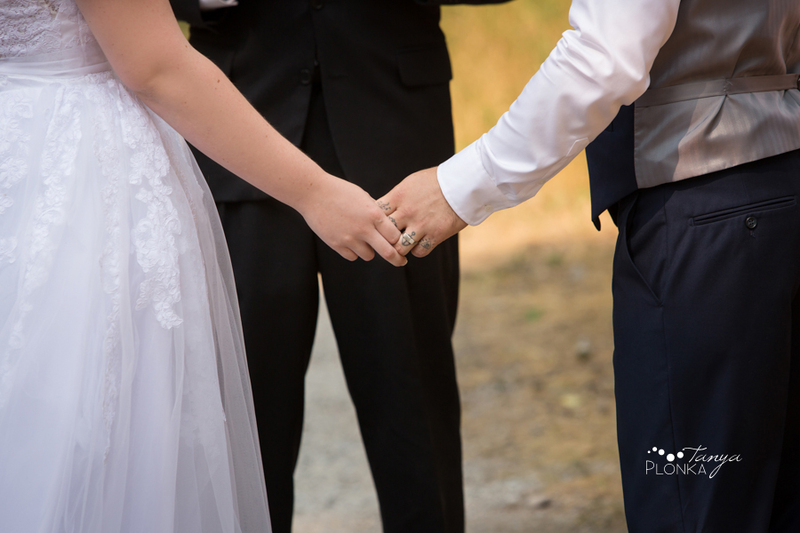 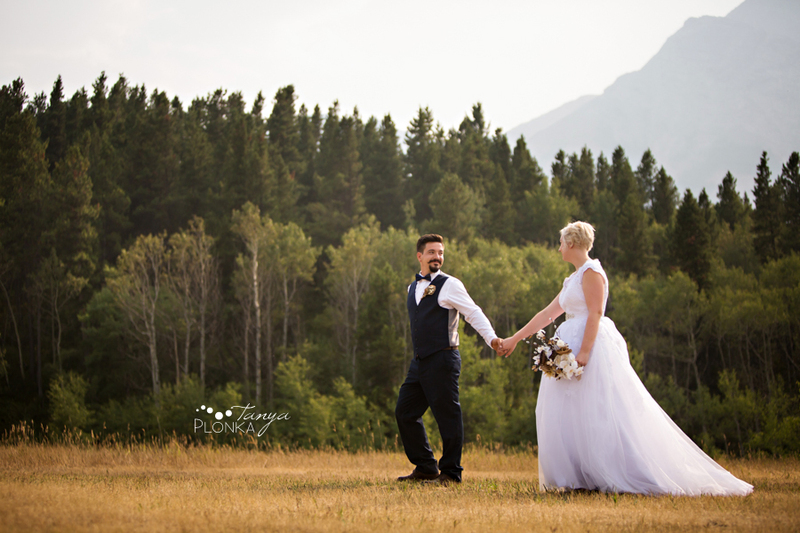 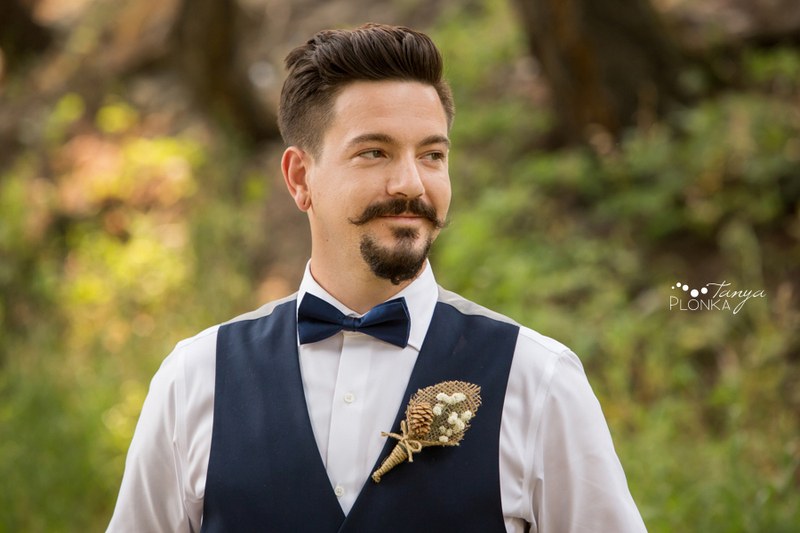 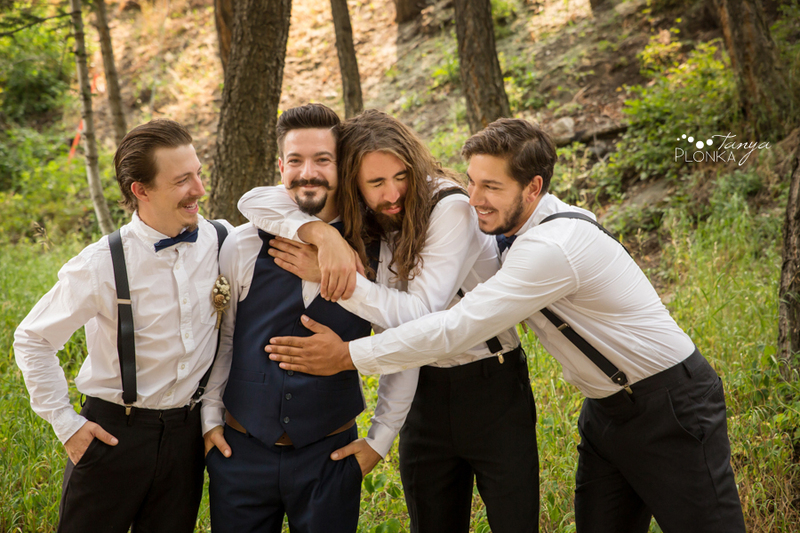 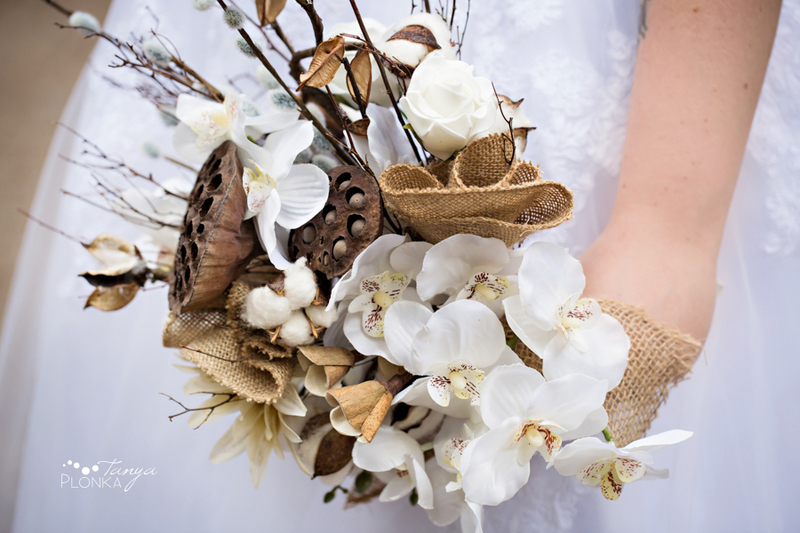 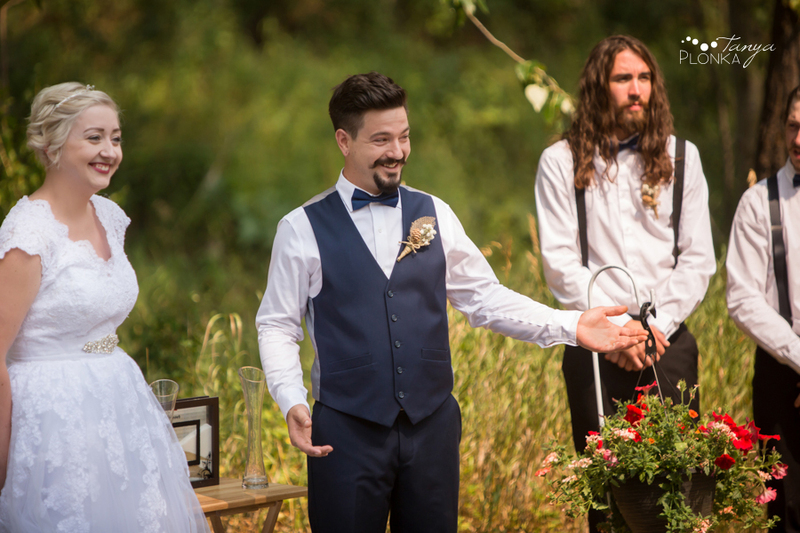 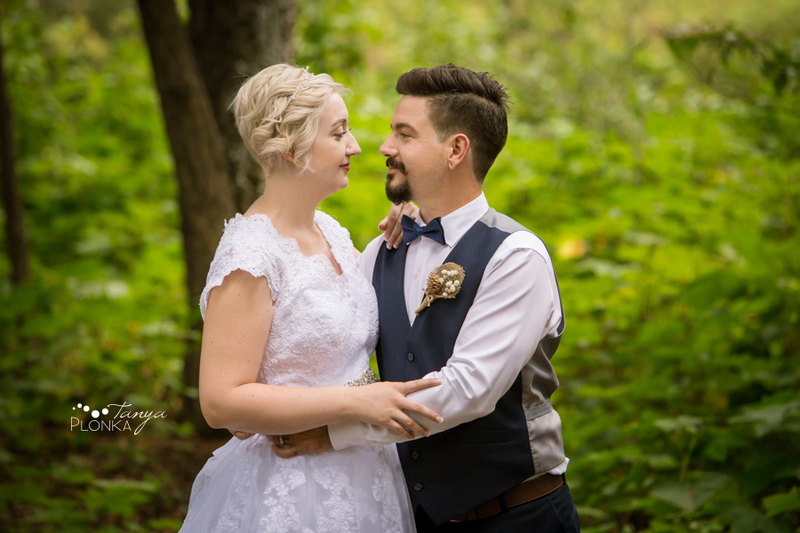 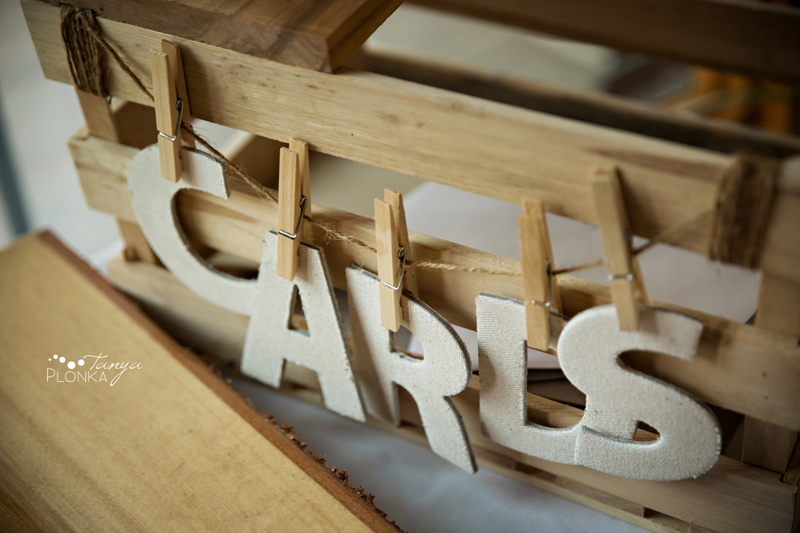 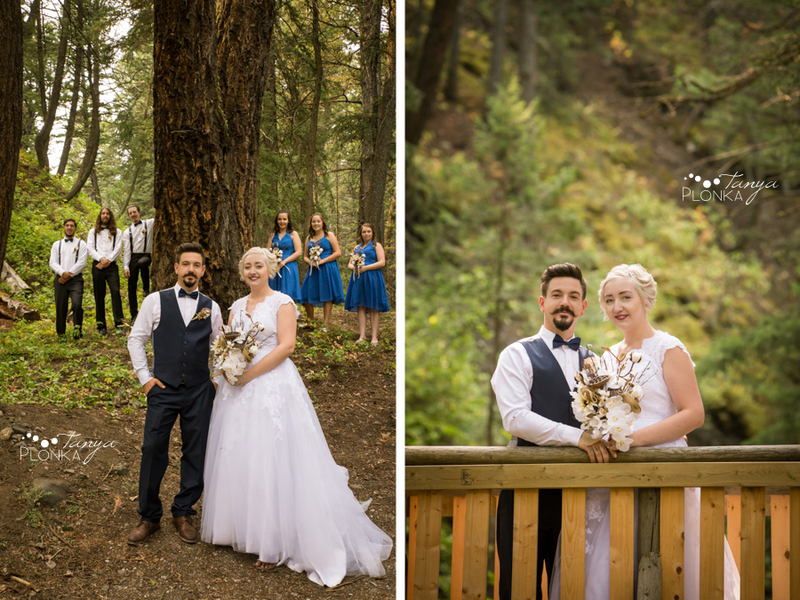 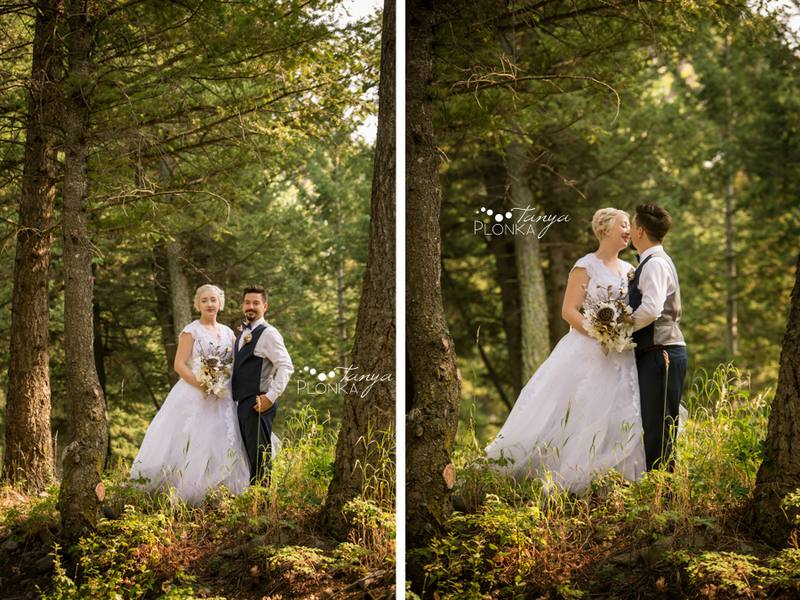 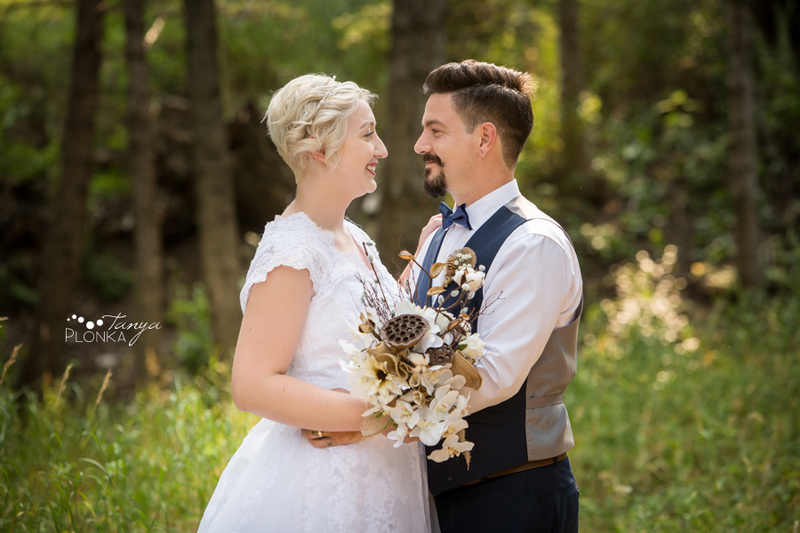 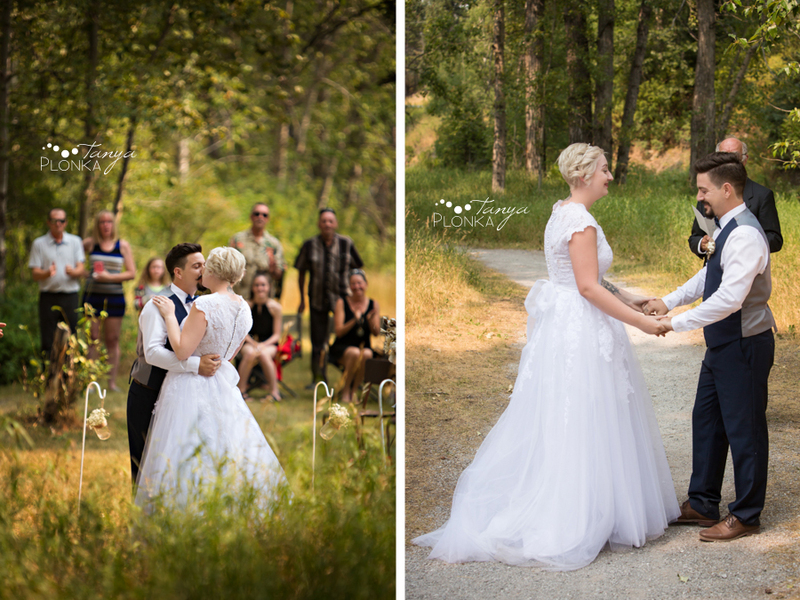 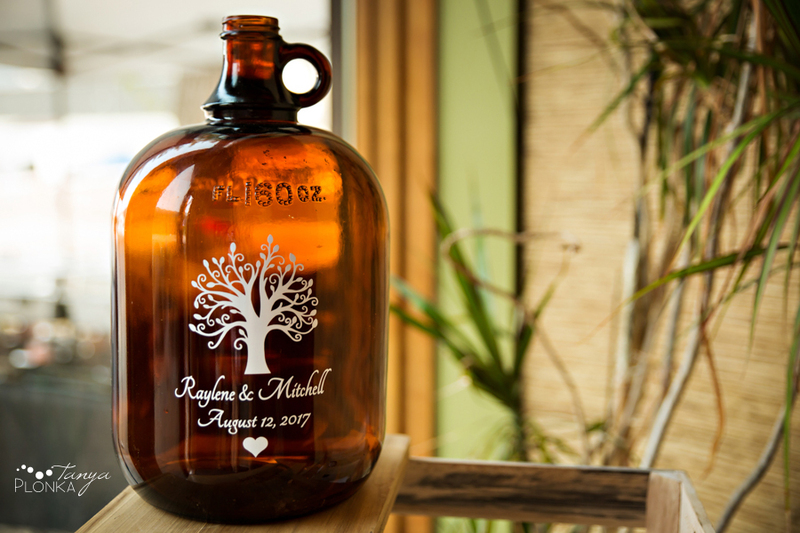 Check out the wedding experience I offer or check out other Crowsnest Pass wedding locations!